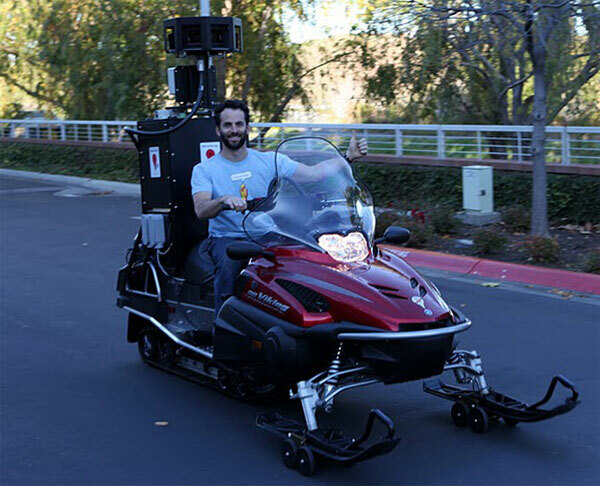 We have already seen the Google [GOOG] Street View Car, and also a bike equipped with some Street View cameras, but there are certain areas that the car and bike cant get to, like ski slopes in Canada, so Google has invented a new form of transport for their cameras, the Google Street View Snowmobile. As well as the Google Street View Snowmobile, Google also mounted cameras onto SUVs so they could drive around snow covered roads and take photos with their cameras, check out the video of the Google Street View Snowmobile in action. Google wanted to capture photos of the ski resorts and mountains before the 2010 Winter Olympics which are taking place in Canada. I wonder what other types of transport we will see in the future featuring Google’s Street View cameras.